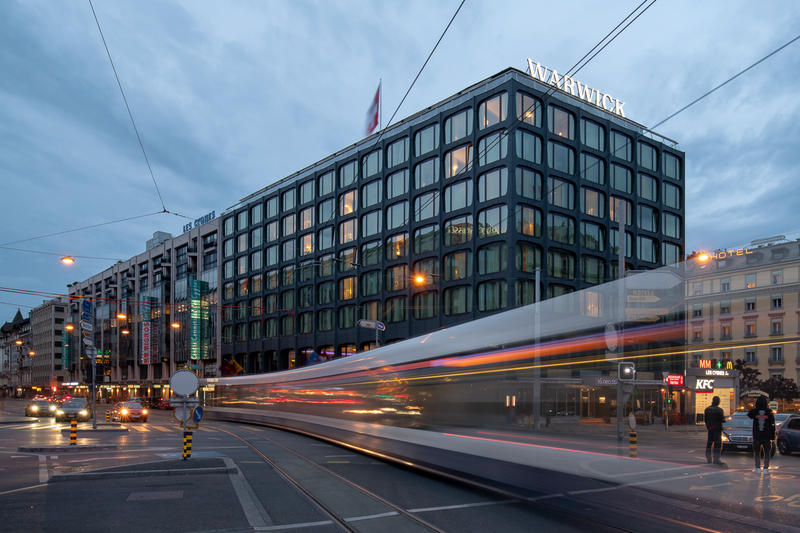 SageGlass®, manufacturer of the world’s smartest electrochromic glass, was selected to replace windows in the Warwick Geneva Hotel. Located in the heart of Geneva, Switzerland, the hotel offers 167 rooms and suites in addition to seven meeting rooms. The hotel building’s façade, built in 1972, has been undergoing renovations for 3 months since July 2017 to ensure compliance with current energy standards. The hotel selected SageGlass, Saint-Gobain's dynamic glazing product, to replace the windows in almost all of its rooms, conference center and offices, amounting to a total glazed surface area of 950 m2 (10,226 square feet). SageGlass, which has more than 500 patents registered in its name, is the outcome of more than 25 years of Research and Development. Much more than just glass, it transforms buildings by adorning them with adaptive, smart façades and glazing. This dynamic glazing solution provides unparalleled performance and darkens and lightens electronically, while retaining its transparency to enhance the thermal and visual comfort of the building’s occupants, regardless of the weather conditions. By adapting its tint and consequently heat and glare penetrability, SageGlass allows buildings to optimize energy efficiency by reducing reliance on air conditioning, heating and artificial lighting. Besides allowing the hotel to comply with the latest energy standards, SageGlass will allow Warwick hotel guests to enjoy maximum possible levels of natural light and uninterrupted views outside. Finally, in the hotel's conference centers and offices, window tints can manually be controlled to adapt to the specific lighting conditions required for a presentation, for example. These windows will also be equipped with LightZone™ technology which allows for a variety of tinting zones on a single pane of glass for a better rendering of colors and targeted sun protection. 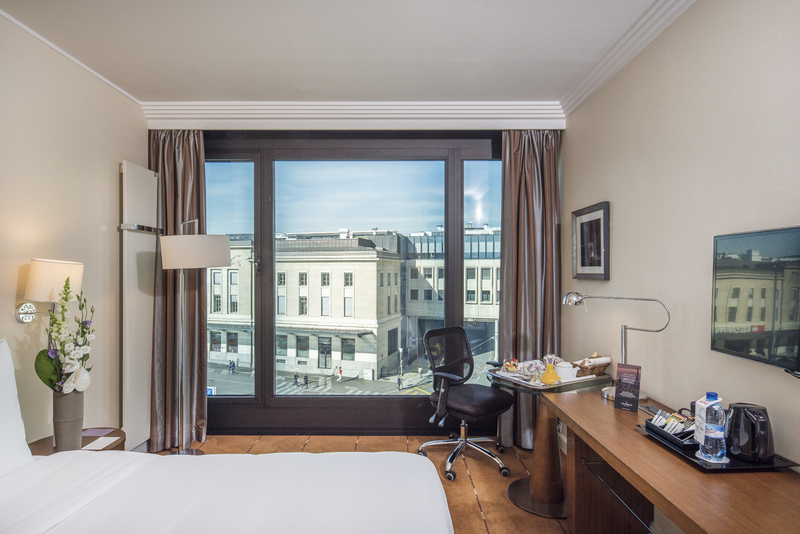 The Warwick Geneva is the first hotel in the world fitted with SageGlass dynamic glazing.